Diversity and cultural competence has been central to my work in its relevance to psychotherapy, leadership, women's issues and ethnic minority issues. My approach is to integrative and one in which I bridge research and practice, community and academic perspectives. My leadership roles as director of a community health center, a child guidance clinic, and as dean have been applied to my research on leadership, and its relevance to professional psychology, public policy, integrated health care, and mental health. As a clinician, I am interested in transference and countertransference, and in contextual factors of how race, ethnicity, and gender affect psychotherapy. 1. Fulbright Scholar as Distinguished Chair to the University of Sydney - Research on Global and Diverse Leadership, and work with Aboriginal and Torres Strait Islander leaders, and consultation on leadership development and cultural competence within university. 2. Fulbright Specialist Award to Chinese University of Hong Kong to study women and leadership and to develop Gender Studies degree at the university. 4. Curriculum development and Program oversight of Masters in Psychology programs in Mexico and Japan. 5. Development of psychotherapy - crosscultural issues in Japan and China. Chin, J. L (2015). Who are the Cantonese Chinese? : NYC Chinatown during the 1940s to 1960s. North Charleston, SC: CreateSpace. Chin, J. L. & Trimble, J. E. (2014). Diversity Leadership. Thousand Oaks, CA: Sage Publications..
Chin, J. L. (2009). Diversity in Mind and in Action Volume 1-The Multiple Faces of Identity; Volume II-Health and Mental Health Issues; Volume III-Education and Employment Matters. Westport, CT: Praeger Publishers. Chin, J. L. (2009). The Psychology of Prejudice and Discrimination – Condensed. Westport, CT: Praeger Publishers. Chin, J. L., Lott, B., Rice, J., & Sanchez-Hucles (2007). Women and Leadership: Transforming Visions and Diverse Voices. Malden, MA: Blackwell Publishing. Chin, J. L., Mio, J. S., & Iwamasa, G. Y. (2006). Ethical Conduct of Research with Asian Americans. In J. E. Trimble & C. B. Fisher (Eds) Handbook of Ethical Research with Ethnocultural Populations and Communities. Thousand Oaks, CA: Sage Publications. Chin, J. L. (2005). The Psychology of Prejudice and Discrimination: Race, Ethnicity, Gender, and all forms of discrimination. Westport, CT: Praeger Press. Chin, J. L. (2005). Learning from My Mother's Voice: Family Legend and the Chinese American Immigrant Experience. New York, NY: TC Press. Chin, J. L. (2003). Asian Americans In Bigby, J. (Ed) Cross-Cultural Medicine. Phila, PA: American College of Physicians-American Society of Internal Medicine. Chin, J. L. (2003). Multicultural Competencies and Managed Health Care. In Pope-Davis, D. (Ed) The Handbook of Multicultural Competencies. Thousand Oaks, CA: Sage Publications. Chin, J. L. (2002). Assessment of Cultural Competence in Mental Health Systems of Care for Asian Americans. In Kurasaki, K. S., Okazaki, S., & Sue, S. (Eds) Asian American Mental Health: Assessment Theories and Methods. Netherlands: Kluwer Academic Publishers. Chin, J. L. (2000). Relationships among Asian American Women. Washington, DC: APA Books. Chin, J. L. (1998). Mental Health Services and Treatment. In Lee, L. C., & Zane, N. (Ed) Handbook of Asian American Psychology Research. Thousand Oaks, CA: Sage Publications. de la Cancela, V., Chin, J. L., & Jenkins, Y. (1998). Community Health Psychology. New York, NY: Routledge. Chin, J. L. & Russo, N. F. (1997). Feminist Curriculum Development: Principles and Resources. In Worell, J., & Johnson, N. (Eds) Feminist Visions: New directions for education and practice. Wash, DC: American Psychological Association. Chin, J. L. (1994). Psychodynamic Approaches. In Comas-Diaz, L. & Greene, B. (Eds) Women of Color and Mental Health. NY, NY: Guilford Press. Chin, J.L., Liem, J., Hong, G., & Ham, M. (1993). Transference and Empathy in Asian American Psychotherapy. Westport, CT: Praeger Press. Chin, J.L., de la Cancela, V., & Jenkins, Y. (1993). Diversity in Psychotherapy: The politics of race, ethnicity, and gender. Westport, CT: Praeger Press. Chin, J. L. (2014). Women and Leadership. In David V. Day (Eds.). The Oxford Handbook of Leadership in Organizations. New York, NY: Oxford University Press. Chin, J. L. (2013). The intersection of race, gender and ethnicity in multicultural clinical supervision. In Falender C. A., Shafranske, E. P. & Falicov, C. (Eds) (Eds.). Diversity and Multiculturalism in Clinical Supervision: Foundation and Praxis—A Guide to Supervision Practice. Wash, DC: American Psychological Association. Ancis, J. & Chin, J. L. (2013). Commentary to: Relishing the Diversity Within and Without: A Journey with Many Influences. In M. E. Gallardo, Ed. (Eds.). Embracing Culture: From Mainstream to Multiculturalism. Thousand Oaks, CA: Sage Publications..
Chin, J. L. (2012). Advancing through the ranks in higher education: Challenges and Transformations. In Curtis-Boles, H. Adams, D. M., Jenkins-Monroe, V. (Eds). (Eds.). Making Our Voices Heard: Women of Color in Academia. Hauppauge, NY: Nova Science Publishers. Chin, J. L. (2011). Prologue. In G. Jean-Marie & B. Lloyd-Jones (Eds) (Eds.). Women of Color in Higher Education: Turbulent Past, Promising Future. Bingley, United Kingdom: Diversity in Higher Education Series, Volume 9,. Chin, J.L. (2011). Prologue. In G. Jean-Marie & B. Lloyd-Jones (Eds (Eds.). Women of Color in Higher Education: Turbulent Past, Promising Future. (pp. 391). Bingley, United Kingdom: Emerald Group Publishing. Chin, J. L. (2010). The Road to Leadership Roles. In C. Rayburn, F. Denmark, M. E. Reuder, & A. M. Austria (Eds), (Eds.). A handbook for women mentors: Transcending barriers of stereotype, race, and ethnicity. (pp. pp 251-60.). Santa Barbara, CA: ABC-CLIO, LLC..
Chin, J. L. (2009). The Dynamics of Gender, Race, and Leadership. In Klein, R. H., Rice, C., & Schermer, V.L. (Eds.). Leadership in a Changing World: Dynamic Perspectives on Groups and Their Leaders. (pp. 47-66). Lanham, MD: Lexington Press. Chin, J. L. (2009). The Road to Leadership Roles. In C. Rayburn, F. Denmark, A. Austria (Eds), The Praeger book of women mentors: Transcending barriers of stereotype, race, and ethnicity. In Rayburn, C., Denmark, F., & Austria, A (Eds.). A Handbook of Women Mentors: Transcending barriers of stereotype, race, and ethnicity. Westport, CT: Praeger Publishers. Chin, J. L. (2008). Women and Leadership. In Denmark, F. & Paludi, M. (Eds.). Psychology of Women. Santa Barbara, CA: Praeger, ABC-CLIO. Chin, J. L. (2008). Tan Portrays Strong Asian Women. In Weiner, G. (Eds.). Women’s Issues in Amy Tan’s The Joy Luck Club. (pp. 120-127). Farmington Hills, MI: Greenhaven Press. Chin, J. L. (2006). Ethical conduct of research with Asian American and Pacific Islander American populations. In Trimble, J. E. & Fisher, C. B. (Eds.). Handbook of Ethical Research with Ethnocultural Populations and Communities. Thousand Oaks, CA: Sage Publications. Chin, J. L. (2003). Asian Americans. In Bigby, J. (Eds.). Cross-Cultural Medicine. Phila, PA: American College of Physicians-American Society of Internal Medicine. Chin, J. L. (2003). Multicultural competencies and managed health care. In Pope-Davis, D. (Eds.). Handbook of Multicultural Competencies. Thousand Oaks, CA: Sage Publications. Chin, J. L., Yee, B. W. K., & Banks, M. E. (2014), Women Health and Behavior Health Issues in Health Care Reform. Journal of Social Work in Rehabilitation and Disabilit;y, 2. Kawahara, D. M., Pal, M.S., & Chin, J. L. (2013), The leadership experiences of Asian Americans. Asian American Journal of Psychology, 4. Chin, J. L. (2013), Introduction: Special Section on Asian American Leadership. Asian American Journal of Psychology, 4, 235-239. Chin, J. L. (2013), Special Issue on Asian American Leadership. Asian American Journal of Psychology, 4, 235-319. Chin, J. L. (2013), Diversity Leadership: Influence of Ethnicity, Gender, and Minority Status. Open Journal of Leadership, 2, 1-10. Chin, J. L. (2011), Women and Leadership: Transforming Visions and Current Contexts. Forum on Public Policy Online, 2. Chin, J. L. (2011), Women and Leadership: Transforming Visions and Current Contexts. Forum on Public Policy Online,, 2011 (2). Eby, M., Chin, J.L., Rollock, D., Schwartz, J., & Worell, F. (2011), Professional Psychology Training in the Era of a Thousand Flowers: Dilemmas and Debates for the Future. Training and Education in Professional Psychology, 5(2), 57-68. Eagly, A. H. & Chin, J. L. (2010), Diversity and leadership in a changing world. American Psychologist, 65, 216-225. 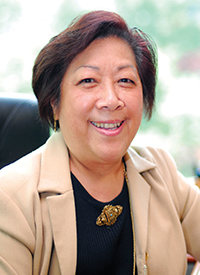 Chin, J. L. (Ed) (2010), Special Issue: Diversity and Leadership. American Psychologist, 65, 149-225. Chin, J. L. (2008), Psychotherapy Education and Training in the new Century. International Journal of Counseling and Psychotherapy, 4, 51-58. Chin, J. L. (2007), Asian American Women's Portraits of Empowerment: Psychotherapy for Asian American Women Warriors. Women and Therapy: Integrating Multiculturalism and Feminism, 30, 3/4, 7-16. Chin, J. L. & Hucles-Sanchez, J. (2007), Commentary on the Special Issue: Leadership. American Psychologist, In press. Barrett, S. with Chin, J. L., Comas-Diaz, L., Espin, O., Greene, B., & McGoldrick, M. (2005), Multicultural Feminist Therapy: Theory in Context. Women and Therapy, 28(3/4), 27-62. Chin, J. L. (2004), Feminist Leadership: Feminist Visions and Diverse Voices. Psychology of Women Quarterly, 28, 1-8. Chin, J. L. (2000), Culturally competent health care. Public Health Reports, 115, 29-38. Chin, J. L. (1999), Cultural Competence and Health Care in Massachusetts. Where are we? Where should we be? Massachusetts Health Policy Forum, Issue Brief No 5. Chin, J. L. (2012). Diversities Similar Challenges. In Annual Convention of the American Psychological Association. Orlando, FL. Chin, J. L. (2012). Women and Leadership. In International Congress of Psychology. Capetown, South Africa. Chin, J. L. (2011). Diversity and Leadership. In American Psychological Association Convention. Washington, DC. Chin, J. L. (2007). Negotiation Skills Facilitate Career Advancement. In American Psychological Association. San Francisco, CA. Chin, J.L. (2007). Women and Leadership: Transforming Visions and Diverse Voices. In American Psychological Association. San Francisco, CA. Chin, J. L. (2006). Bridging the Divide: Diversity and Supervision. In California Psychological Association-Division II. San Francisco, CA. Chin, J. L. (2006). Theory in Context: Diverse Feminist Leadership. In Derner Institute Colloquium Series. Adelphi University. Chin, J. L. (2006). Psychotherapy Education and Training in the 21st Century. In 1st National Conference of Psychotherapy Education and Training. International Christian University, Tokyo, Japan. Bertha G. Holliday, Jessica H. Daniel, David Rollock, Meg Bond, Bernardo Ferdman, and Jean Lau Chin (2015, January). Issues and Strategic Practices for Promoting Diversity in Organizations. National Multicultural Conference and Summit, Atlanta, GA.
Chin, J. L., Desormeaux, L., Remer, P., & Sawyer, K. (2014, August). Diversity Leadership Training Video. Annual Convention of the American Psychological Association, Washington, DC,, Wash, DC. Chin, J. L. (2014, August). Does Difference Make a Difference? : Reflections of Feminist Leaders. Annual Annual Convention of the American Psychological Association, Wash, DC. Chin, J. L. (2013, August). Diversity Leadership Summit. Annual Convention of the American Psychological Association, Honolulu, HI. Chin, J.L. (2013, January). The Diversity of Research across Psychology. Symposium at the 2013 National Multicultural Conference and Summit, Houston, TX. Chin, J. L. (2012, August). Diversities Similar Challenges. Panel presentation at the Annual Convention of the American Psychological Association, Orlando, FL. Chin, J. L. (2012, July). Women and Leadership. Panel presentation at the International Congress of Psychology, Capetown, South Africa. Chin, J. L. (2012, June). Diversity and Leadership. City University of Hong Kong, Hong Kong, China. Chin, J. L. (2012, May). Women and Leadership. Chinese University of Hong Kong, Hong Kong, China. Chin, J. L. (2011, October). Diversity and Leadership. Diversity Challenge Conference on the intersections of race, ethnicity with gender and sexual orientation. Institute for the Study and Promotion of Race, and Race, and Culture, Boston College, Newton, MA. Chin, J. L. (2011, October). Professional Training in the era of a thousand flowers: Dilemma and challenges for the future. Invited address to CW Post University, Department of Clinical Psychology, Westbury, NY. Chin, J.L. (2011, September). Mental Health Issues for Chinese Americans. Confucius Institute, Pace University, NY. Chin, J. L. (2011, August). Diversity and Leadership. Annual Convention of the American Psychological Association, Wash, DC. Chin, J. L. (2011, May). Diversity and Leadership. Pace University. Chin, J. L. (2011, March). Women and Leadership. Oxford Roundtable. Chin, J. L. (2011, February). Privileging Indigenous Voices: Hearing the Wisdom of Generations. 2011 TC Winter Roundtable on Cultural Psychology and Education. Teachers College, Columbia University, New York, NY. Chin, J. L. (2011, January). Leadership Styles of Diverse Leaders. National Multicultural Summit, Seattle, WA. Chin, J. L. (2010, August). Considering the evidence on diversity in practice and training. Annual Convention of the American Psychological Association, San Diego, CA. Chin, J. L. (2010, August). Integration of a prevention perspective into psychology training programs. Annual Convention of the American Psychological Association, San Diego, CA. Chin, J. L. (2009, August). Visions of Asian American Feminists. Annual Convention of the American Psychological Association, San Diego, CA. Chin, J. L. (2009, January). Leadership: Preparation and transformation in professional psychology. Annual conference of the National Council for Schools and Programs of Professional Psychology. Chin, J. L. (2008, August). Psychotherapy for Asian American Women Warriors. Annual Convention of the American Psychological Association, San Diego, CA. Chin, J.L. (2008, August). Double standards and double binds: The context for women leaders. Symposium on Transforming Leadership for the 21st Century: Feminist, Multicultural Paradigms. Presented at the Annual Convention of the American Psychological Association, Boston, MA. Chin, J. L. (2008, January). Women and Leadership: Transforming visions and current contexts. Annual conference of the National Council for Schools and Programs of Professional Psychology. Chin, J. L. (2007, December). Impact of cultural attitudes on health practices. LIFER conference on Asian Americans and the Hepatitus B Virus. Roosevelt Hotel, NY. Chin, J.L. (2007, October). Multiculturalism and Diversity. Adelphi Society for Psychoanalysis and Psychotherapy, Saugerties, NY. Chin, J. L. (2007, October). Race and Culture Intersections: Looking at Families and Communities. 7th Annual Challenge Conference: Race, Culture and Mental Health of children, adolescents, and families. Boston College, MA. Chin, J.L. (2007, September). Creating Family Legend: Working with Asian American Immigrant Families. Dialogue on Diversity Conference. Graduate School of Applied and Professional Psychology, Rutgers University. New Brunswick, NJ. Chin, J. L. (2007, September). Diversity and Multiculturalism. Interfaith Medical Center. Chin, J. L. (2007, June). Women and Leadership. American Council on Education Conference, Queens College, NY. Chin, J. L. (2007, April). Diversity in Action and Practice. 2nd Annual Conference on Embracing Cultural Change. Hofstra University, NY. Chin, J. L. (2007, March). Japan in Analysis. International Christian University Institute for Advanced Studies in Psychology Videoconference..
Chin, J.L. (2007, January). Difficult Dialogues. National Multicultural Summit, Seattle, WA. Chin, J. L. (2007, January). Cultural Competence: Moving toward Cultural Excellence. Conference on Health Disparities, Loma Linda University, CA. "Leadership: Global and Diverse". Leadership Training Video. APA Interdivisional Project. August 2014. "Psychology’s Feminist Voices, Feminist Presence Profiles: Jean Lau Chin.". Feminist Leadership. http://www.feministvoices.com/jean-lau-chin/?stage=Live. January 2014. "Legacy of Excellence". National Register of Health Service Providers in Psychology. August 2010. "Psychology's Feminist Voices, Feminist Presence Profiles". http://www.feministvoices.com/jean-lau-chin/?stage=Live. August 2010. "Case Study with Asian American Clients". American Psychotherapy Series. November 2007. Jung Rok Shin (2014). - Religiosity, Spirituality, and the Effects of Activating Subliminal Fantasies of Merger on Perceived Mental Well-being. Adelphi University.